Jennifer wore her black shearling trim Burberry coat with a pinstripe skirt, stockings and a pair of Nicholas Kirkwood bow pumps. While Jennifer looked cute in her black shearling trim Burberry coat, these Burberry coats would probably top our list of most wanted Burberry coats. 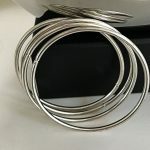 Because it looks like it keeps you warm and toasty. And you can take on any number of blizzards mother nature wants to throw at you this winter. 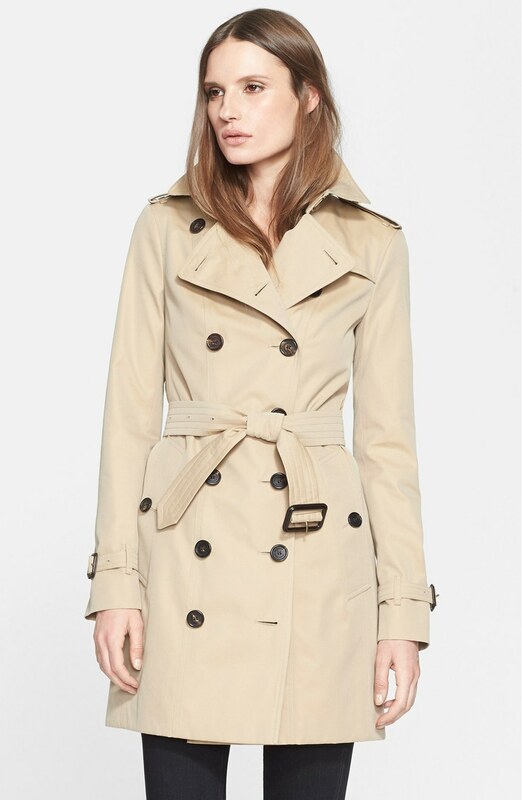 Because every girl should have a khaki trench coat in her closet and Burberry makes some really stylish trench coats. 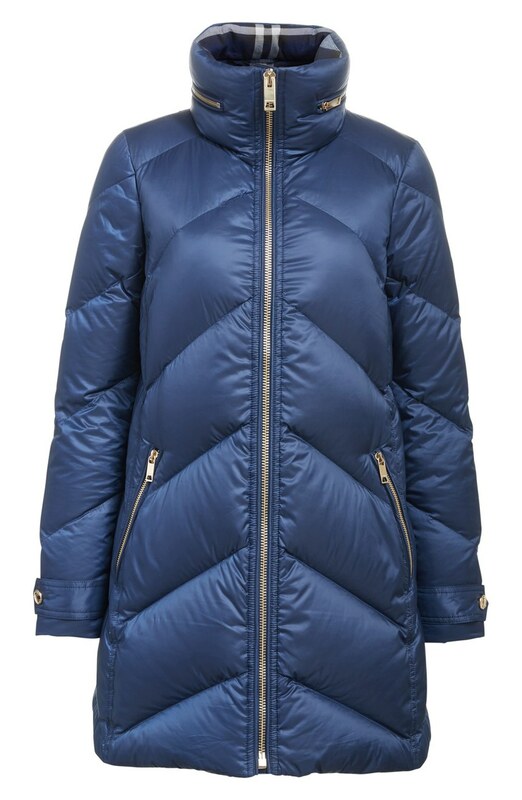 Because Parkas are always a good idea. And we love the contrast of the bright yellow and the moss green. Because variety is the spice of life. And a girl never knows when she might feel like stepping out of her comfort zone and trying an outfit that calls for a military style coat. 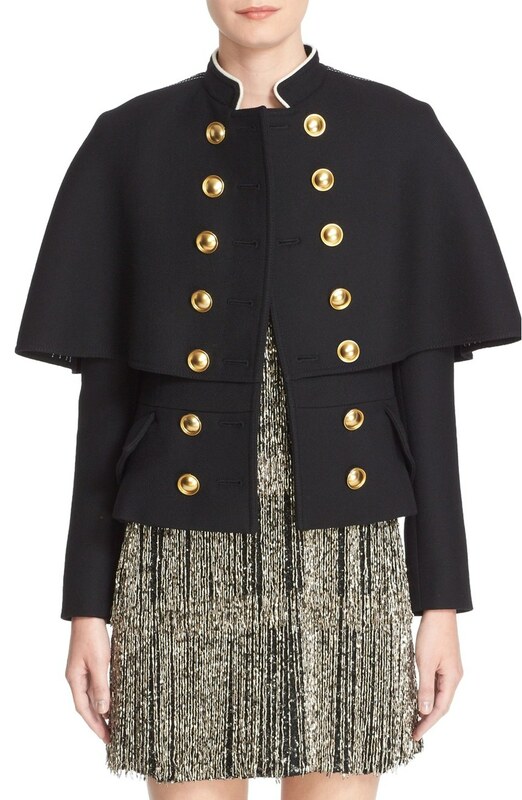 This military cape coat from Burberry will be hard for anyone to not look fashionable while wearing. 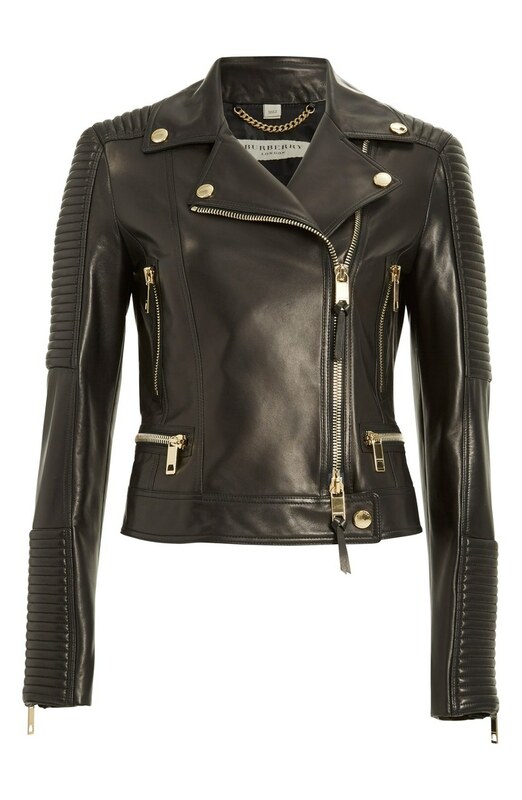 Because every girl should also have a leather moto jacket among her collection of jackets and coats. 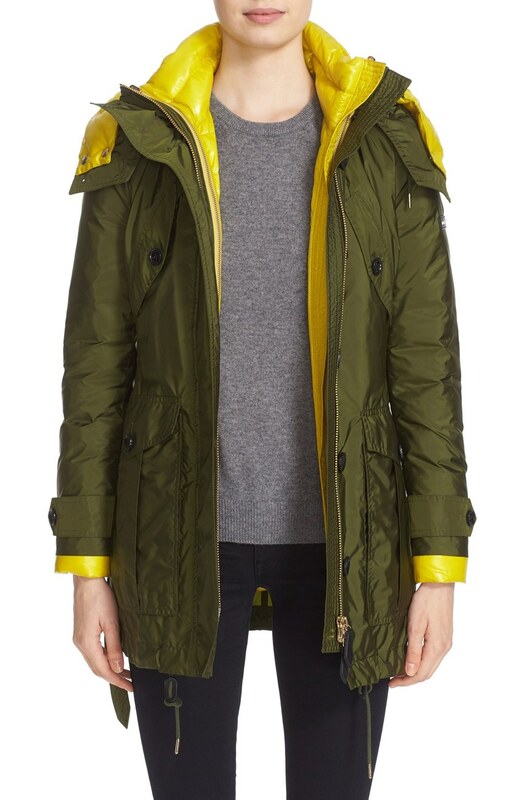 And this one from Burberry is super stylish and chic. A girl can’t go wrong stepping in this jacket. 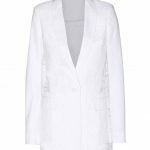 Because having a white coat, while not a necessity, is a good idea for any girl who wants to have as many coat options as possible. 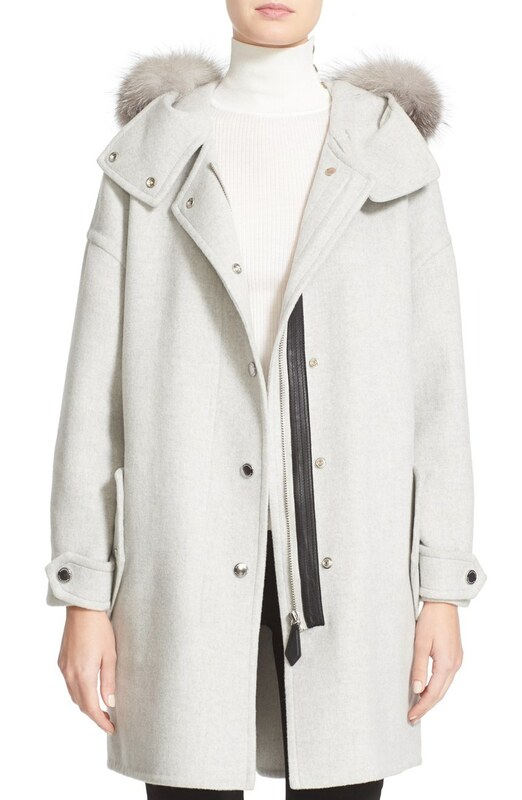 This fur-trimmed, hooded wool and cashmere coat from Burberry is more a “Light Grey Melange” than white per se, but it will still suffice.